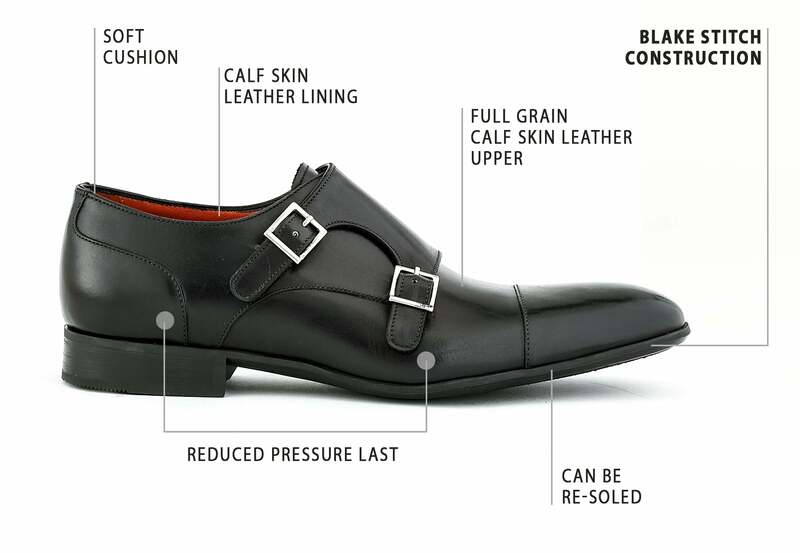 Bold, comfortable, & affordable handcrafted Italian dress shoes & sneakers. We’ll even buy them back. 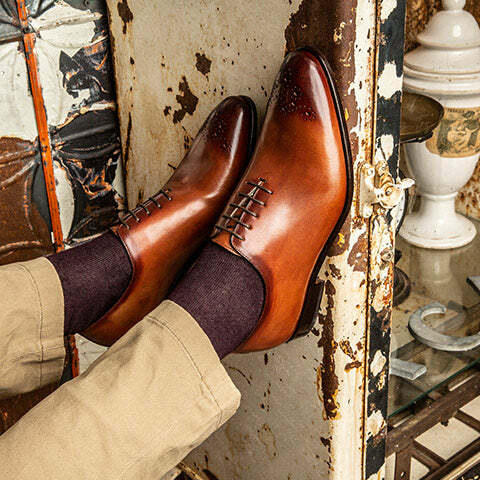 Each pair of Signature requires two days of skillful craftsmanship by our most experienced artisans. They are Goodyear Flex construction, and uncommonly comfortable out of the box. 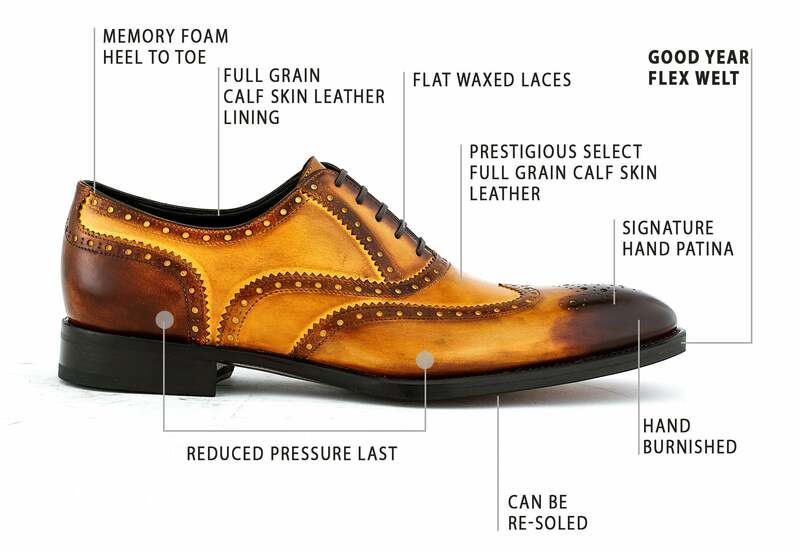 We use the most prestigious cuts of select full-grain calf-skin leather finished with our mesmerizing Signature Patina. The interior is lined with full grain calf-skin leather, heel to toe memory foam cushion, and the cork midsole molds to your foot. 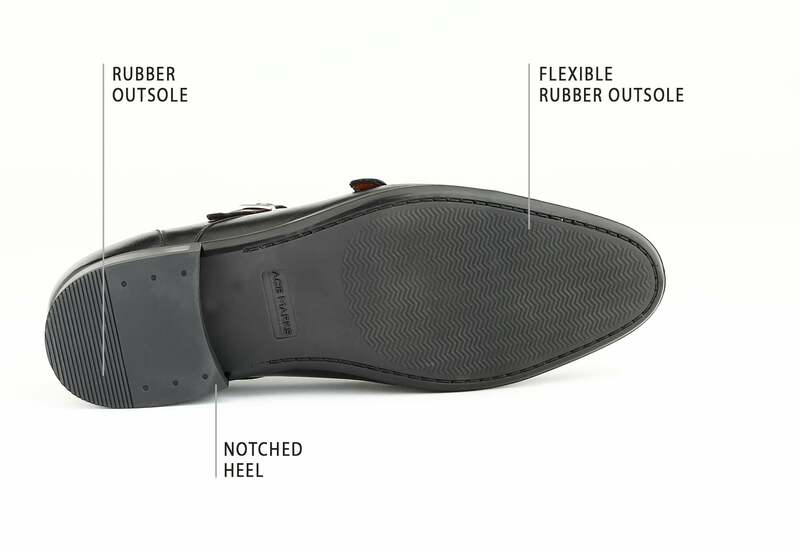 The leather outsole is hand finished, sealed, and in-tone with the upper. Hand placed gold nails adorn and protect the toe. 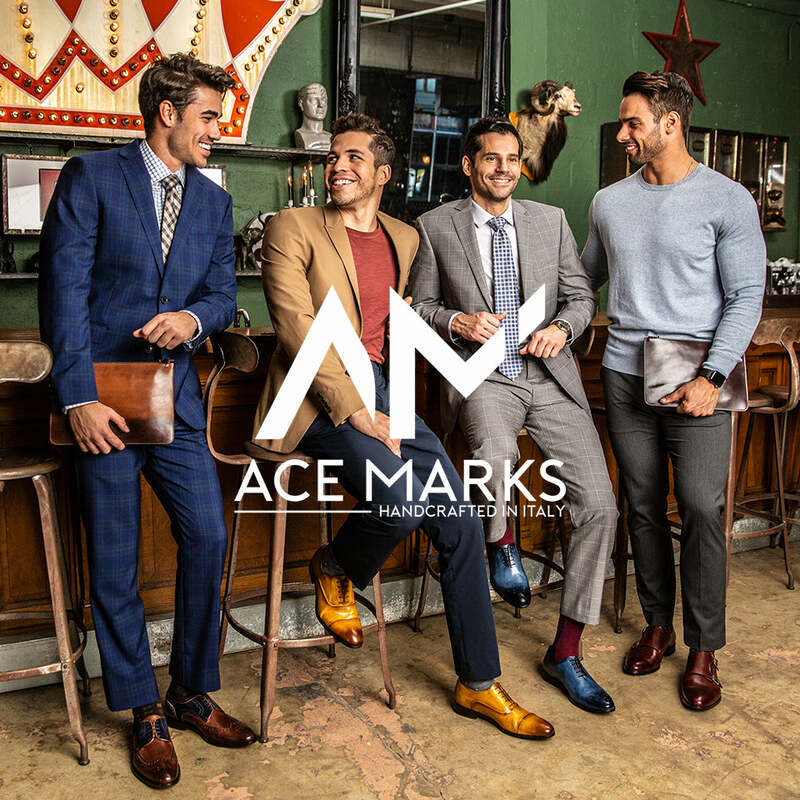 Ace Marks Originals collection. 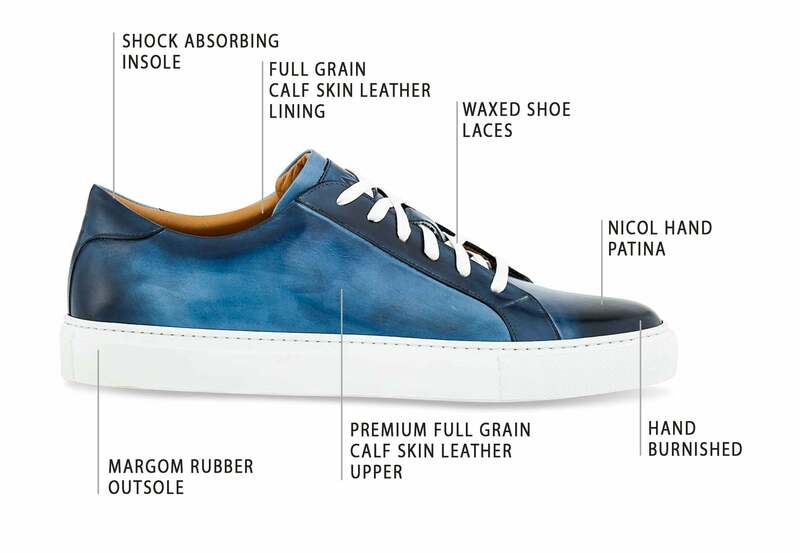 Bold, diverse, and handcrafted statement shoes & sneakers. 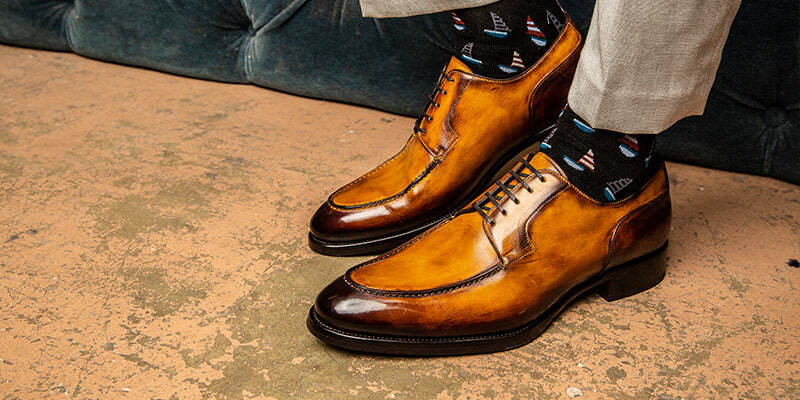 Our all-new Lucidatura Nicol Patina featuring heavily antiqued borders and details set against lighter contrasting mid-sections. Packed with luxury features unlike anything on the market today. Featuring a re-soleable blake flex construction wrapped in premium full grain calf-skin leather uppers & supple breathable calf-skin lining. 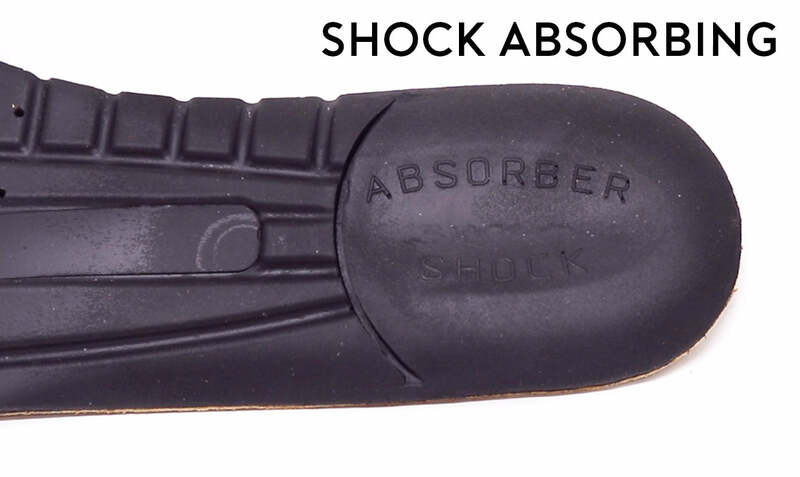 The memory foam insole molds to your foot. 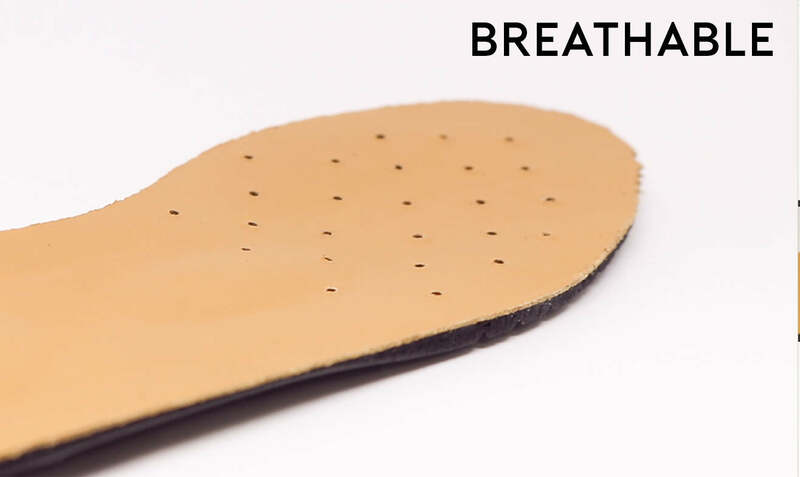 The flexible leather outsole has a notched heel, a rubber insert for traction, and a closed stitch channel that prevents moisture from getting in and increases the life of the shoe. They are light, flexible and comfortable from the first wear. Our latest statement shoes. Including our all-new Lucidatura Nic l Patina featuring heavily antiqued borders and details set against lighter contrasting mid-sections. 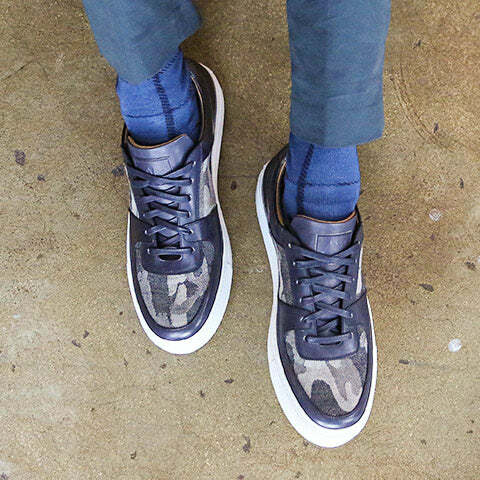 Handcrafted Italian Sneakers made by the same artisans that make our dress shoes. Every day basics or your first pair. 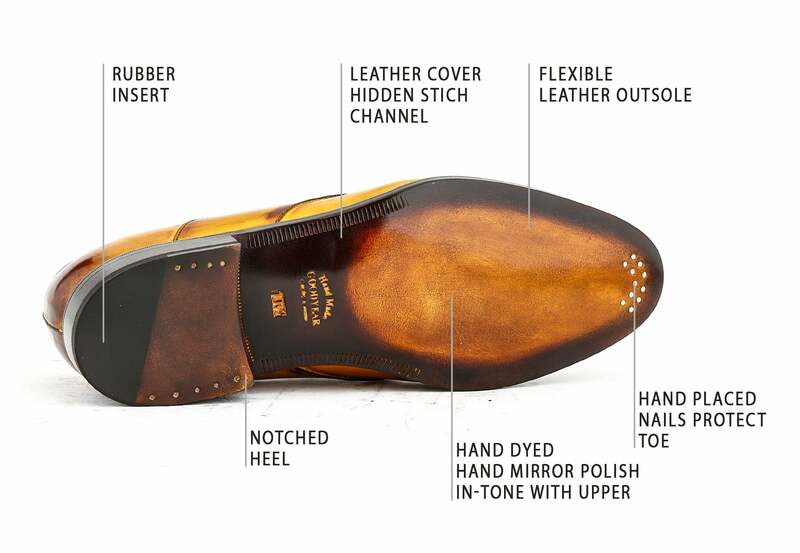 An introduction to the world of handcrafted shoes. Blake stitch, full grain calf skin leather uppers & lining, rubber outsoles. Crafted for your lifestyle. 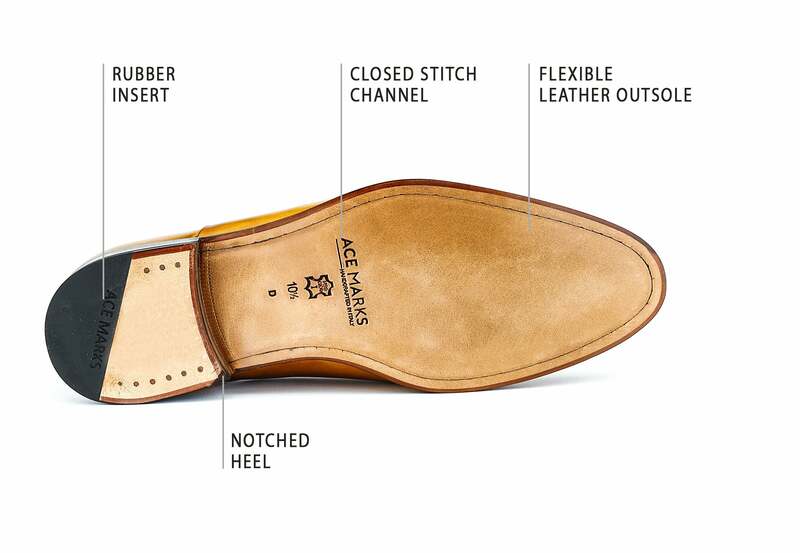 Browse the new Ace Marks Essentials line built as a strong everyday shoe. All orders will receive a free accessories package. All orders will receive a free accessories package added to your order. 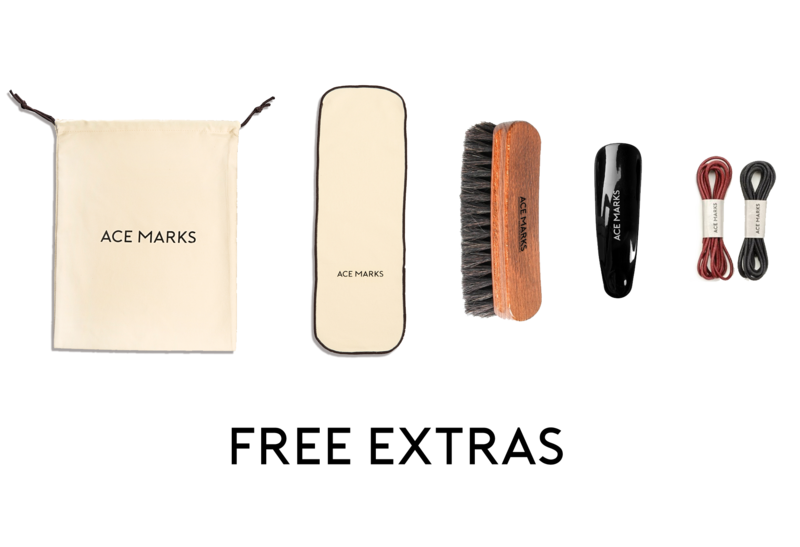 Included in the package is a free pair of shoe laces, shoe shine brush, polishing cloth, travel shoe horn, and cotton shoe bag. We will ship from our 3 distribution facilities. EU orders will ship from our German facility (that’s why we collect VAT); Canadian orders will ship from our Canadian facility; all other shipping addresses will ship from our facility in Miami, FL. 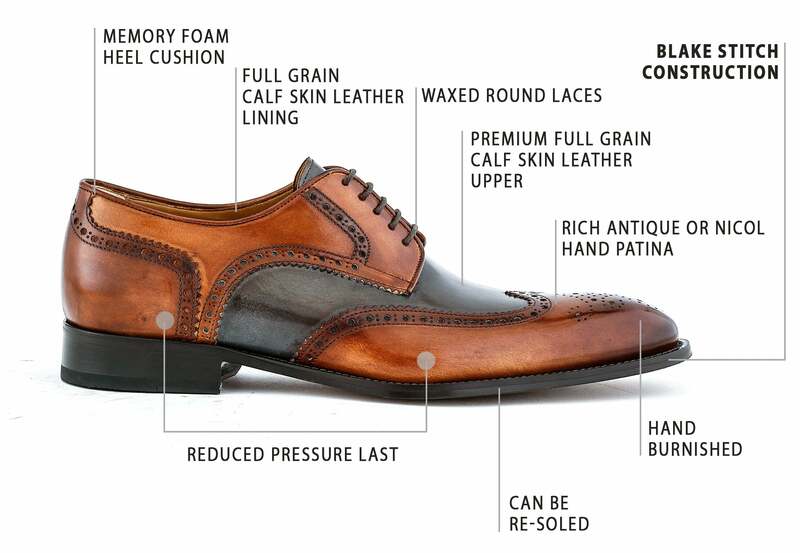 Combining the old traditions of shoe making with modern business models in order to make luxury more accessible. Copyright © 2019 Ace Marks - All Rights Reserved.